Pune, India - April 17, 2019 /MarketersMedia/ — Big data in healthcare refers to the technological analytics services such as descriptive, predictive or prescriptive that are used by healthcare organizations to handle the data sets. Big data provides insights that improve learning outcomes of research by comparing different data sets and thus helps these organizations to understand pattern and make predictions. This further enables these organizations to address critical challenges, improving their decision-making processes. Therefore, to use these opportunities effectively requires the efficient use of big data. The healthcare sector which is rapidly transforming with the advancements in genetics, biomedical, and information technology is ushering towards offering effective personalized treatments to the patients, accepting the customer-centric approach. Implementing Big Data analytics in the operations of their facilities ensures creating a positive consumer (patients) experience that enables them to gain a competitive advantage. Further Big Data analytics are also used by pharmaceutical and biotechnological companies, harnessing its power for product cross-selling, financial risk management, and regulatory compliance management along with other benefits. As a result, the Big Data in the healthcare market is growing pervasively witnessing a huge market demand and hence exponential growth, worldwide. Acknowledging the exponential growth, the market perceives currently Market Research Future (MRFR) in its recently published analysis asserts that the global Big Data in healthcare is forecasted to reach USD 17,278.13 MN by 2022, registering a CAGR of ~ 20.69 % during the forecast period (2015-2022). Additional factors substantiating the market growth include increasing government initiatives and the pressure to curb healthcare costs and new technological advancements such as mHealth, Internet of Things (IoT) and wearables. Going ahead, the pressure to curb healthcare costs is also playing a significant role in the overall market growth. Further, the government initiatives such as the releases of data from the agencies like FDA and CDC are accounting for major factors driving the growth of the big data in the healthcare market, helping and expediting research activities to understand the cause of the disease and other causes deeply. By Component: Comprises Hardware, Software, and Services. By Mode of Deployment: On-premise, web-based/cloud-based among others. By Application: Clinical data analytics, financial analytics, and operational analytics, among others. By Regions: Europe, North America, APAC, and the Rest-of-the-World. Globally, the North American region is the largest market for big data healthcare. The significant share of this market is attributed to the availability of advanced IT infrastructure and increasing technological developments. Furthermore, factors such as the high expenditure on health care widened uptake of new technologies and the presence of strong big data companies in the healthcare foster the market growth in the region. In the year 2015, the big data in the healthcare market in North America had valued at USD 4.61 BN. The market is further expected to create a large revenue pocket in the global big data in the healthcare market. The European region is the second-largest market for big data in healthcare, which is expected to grow at a significant rate of CAGR. Factors such as the increased research and development activities heading with government support and a well-established healthcare sector drive the market growth in the region. Also, the increasing number of healthcare infrastructures alongside the proliferation of smart connected devices are fueling the market growth in the region. The Asia Pacific region is rapidly emerging as a promising market for big data in healthcare. China and India among other APAC countries, backed by the huge patients’ pool will lead the regional market. The big data in healthcare in this region is anticipated to grow at a CAGR of 24.75% throughout the forecast period. The big data in the healthcare market in the Middle East & African region will be led solely by GCC countries such as Saudi Arabia and the UAE. The African region is expected to witness an impeded growth owing to the poor healthcare development alongside the poor economic and political conditions. The competitive market for big data in healthcare is dominated by big players like Dell and GE Healthcare. Market competition is expected to increase during the forecast period due to the increasing strategic initiatives such as partnerships and mergers. High deployment cost and rapid innovations in managing the big data are the major barriers for new vendors in the market. 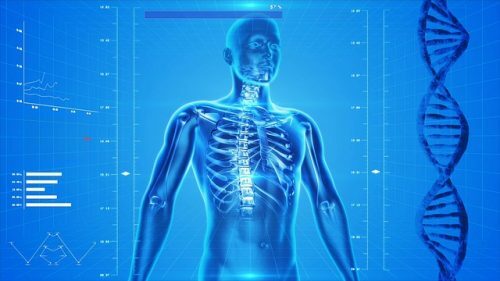 The fervent players leading the global big data in healthcare market include Cognizant, Cerner Corporation, Dell, McKesson, GE Healthcare, Optum, Xerox, Philips, and Siemens. February 14, 2019 ---- IBM Watson Health (the US), an IBM business unit focusing on data-driven technology challenges in healthcare announced its collaboration with Brigham and Women's Hospital, a teaching hospital of Harvard Medical School in Boston, Massachusetts, and Vanderbilt University Medical Center in Nashville, Tennessee. These academic collaborations are part of a 10-year plan to advance AI science and its application to major public health issues. Watson Health will collaborate with both institutions on critical health problems suited for AI solutions, with the initial areas of study expected to be focused on the use of AI to improve a number of vital healthcare utilities and practices including electronic health records (EHRs), claims data, patient safety, precision medicine, and health equity.